New Zealand humiliated Pakistan in 1st test in UAE. This is the answer of Pakistan to the New Zealand team, Victory by an inning. What a great comeback by the Pakistani team. Pakistan did everything right, from batting to the bowling and their strategy of the follow-up worked as they planned. The man of the hour was Yasir Shah. He bagged 14 wickets in this test. He leveled the record earlier held by the Great Imran Khan. Pakistani bowlers did a great job. 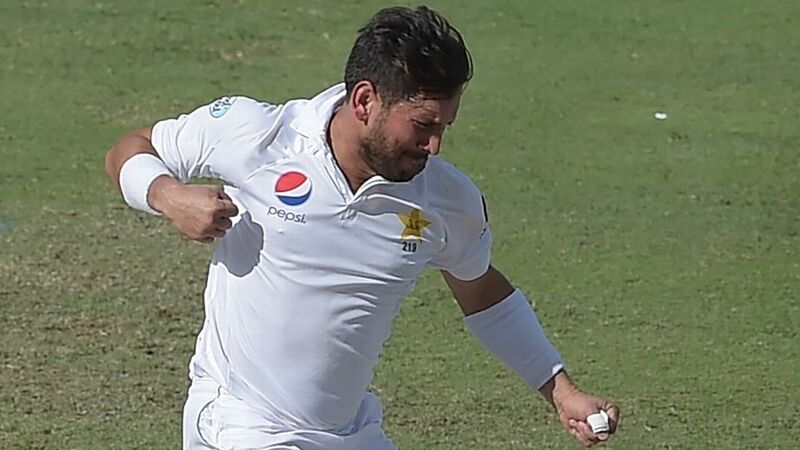 Yasir Shah spell will be remembered in decades to come. New Zealand had a great start. They were happy with the partnerships of their players. New Zealand came into the play on the 2nd day with great confidence on the back of their good partnership. But New Zealanders knew that they have to go big if they want to come out of this situation. Only medium level partnerships would not bring them out of this mess. Pakistani bowlers destroyed the New Zealand batting line and defeated them badly. Pakistan will face New Zealand in 3rd and final test on 3rd of DEC. This is the last test match between Pakistan & New Zealand. It will decide the fate of the Test series against New Zealand. Captain Sarfraz was very much confident that they will defeat New Zealand in the 3rd test but we will have to see. After what happened in 1st test was so terrible that we can no longer rely on Pakistani batting line. Even in these matches, Pakistani bowlers play the major role. New Zealand batting line is one of the finest. Pakistani bowlers limit them in such a way that most of the time batting line was busy with defense. How To Watch Pakistan vs New Zealand 3rd Test? PTV Sports Live will broadcast the Pakistan vs New Zealand 3rd test in Pakistan. Fox Cricket will broadcast it live in New Zealand & Australia meanwhile Wicket TV will stream Pakistan vs New Zealand live on the internet. Wicket TV is the No.1 source for online cricket streaming and we stream major cricket matches online on our website. Don’t forget to check our live TV list.